Working as a subconsultant to the prime engineering consultant on the project, ZGA provided geotechnical design services for the Dogwood Street bridge replacement project located in Issaquah, Washington. 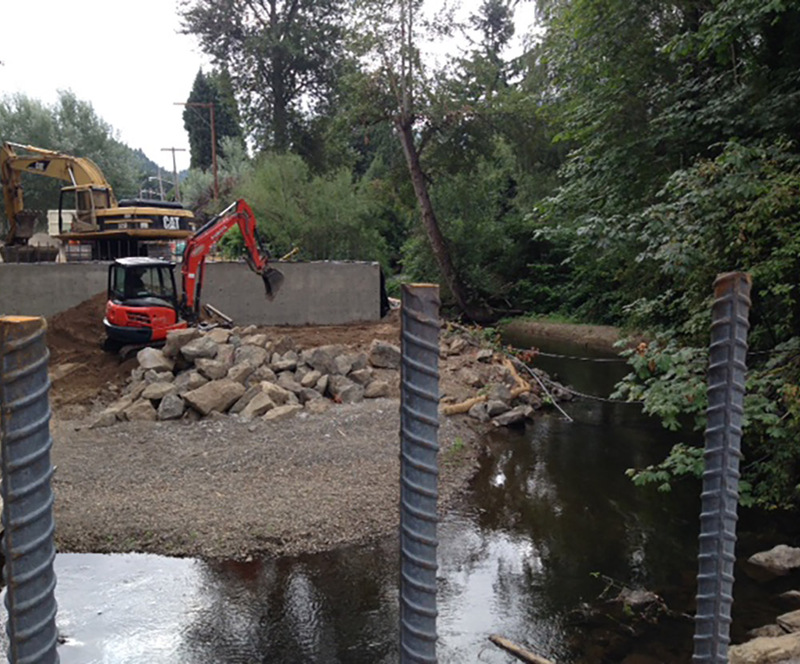 The project consisted of constructing a new 95 foot bridge across Issaquah Creek and associated road widening on either side of the bridge. ZGA completed geotechnical explorations and prepared a geotechnical report providing recommendations for bridge foundations, roadway widening and pertinent information for WSDOT standard plan geosynthetic retaining walls required for roadway widening. ZGA also provided services during construction including submittal review and construction observation.